See Instructions at the bottom of this page if you are not familiar with Facebook or Twitter. 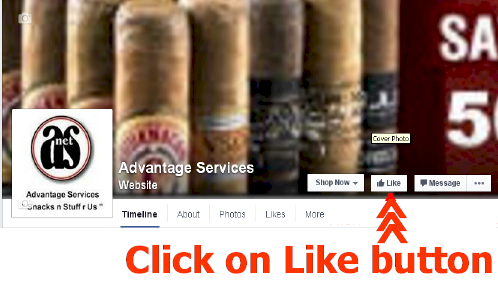 Like us on Facebook and or Follow us on Twitter. If you have performed either of these you can use ALL of the available Coupon Codes that we post on the Social Media that you registered on except for the Coupon Codes that are assigned to specific customers. When you initially Like us on Facebook or Follow us on Twitter you will receive your SINGLE use 10% Discount Coupon. If you have not done either of these the Coupon Codes will not be honored that we post Monthly, Special Occasions, and General Discount Coupons that save you $$$$. ALL of our Coupons are SINGLE use per Customer. You Cannot use any Coupon Code more than one time, but not to worry we post New Coupons frequently. Refer a Friend and get a 10% Coupon, Refer as many as you wish and get a 10% Coupon for every Friend that places an order. See the instructions at the Refer a Friend for Rules.